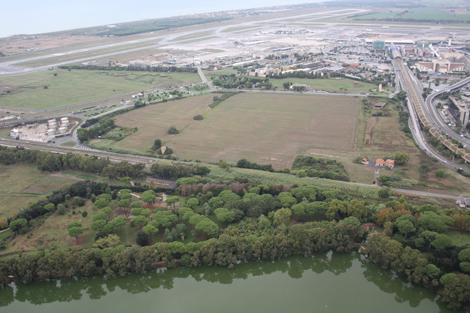 Portus was established 3km to the north of Ostia by the Emperor Claudius and was subsequently inaugurated under Nero. It comprised a substantial 200 hectare harbour basin which was connected to the Tiber by two large canals, and by a significant complex close to the Tiber. The canals enabled cargoes from ships arriving at Portus to be moved upriver to Rome in boats. The canals were also intended to prevent flooding in Rome by easing swollen waters in the lower Tiber. Little is known about the infrastructure of the port apart from some very large buildings in the vicinity of the small basin (Darsena), and the supply of fresh water by aqueduct. 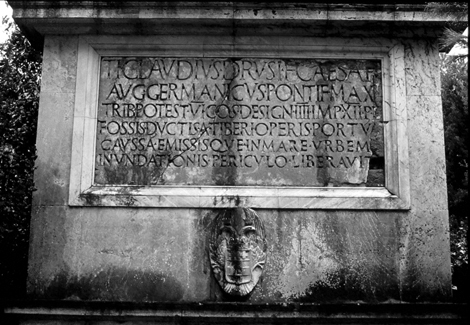 On the north side of the Isola Sacra, a small settlement also developed adjacent to the Imperial marble yards.